Gas hydrates are ice-like substances composed of water and natural gas occurring under conditions of cold formation temperatures and moderate pressures. They are thought to represent a vast potential energy source with concentrated deposits in the Arctic and marine settings offshore of Japan and Canada's coasts. 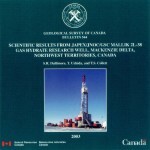 Canada and Japan have collaborated in several gas hydrate research and development programs over the last decade. Much of this work has been carried out at the Mallik site located in the Mackenzie Delta in Canada's Northwest Territories. 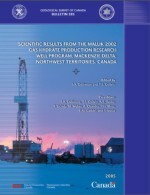 Mallik 2006-2008 Gas Hydrate Research Program evaluated the in situ properties of natural gas hydrates, and, for the first time, measured and monitored their long term production behaviour.